The hotel is located in one of Cairo's best place, just in the heart of Heliopolis area.Situated in the heart of the Heliopolis area, one of Cairo's liveliest suburbs, the hotel offers all the conveniences and amenities of a first-class hotel. It is proud of its roof-top restaurant, its distinctive and unique pub and its Chinese restaurant. The hotel has a total of 60 accommodation units and features a 24-hour reception and check-out service.All of the luxurious en suite hotel rooms are air-conditioned and feature designer furniture. 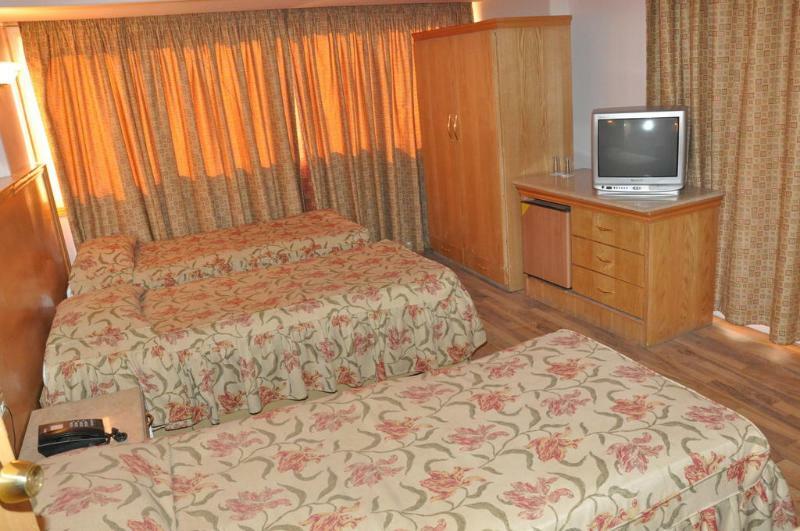 The rooms come with a hairdryer, direct dial telephone, TV, minibar and a balcony or terrace. Alternatively, the hotel offers independent living apartments consisting of a lounge area, 2 or 3 bedrooms, a fully equipped kitchen, a washing machine and colourful, fully equipped bathrooms.